Update, 3 p.m. August 4: The South Burlington School Board will likely address the controversy over the “Rebels” nickname at its meeting on August 19. Superintendent David Young, who is not taking a position as of now, says he will add the topic to the agenda. The session is at 7 p.m. at the Frederick H. Tuttle Middle School library, 500 Dorset Street. The "Rebels" are drawing fire — in South Burlington. In the wake of national debate over the decision to stop flying the Confederate flag on the grounds of the South Carolina capitol, some city residents are saying it's time for South Burlington High School to do some soul searching of its own and stop calling its teams "the Rebels." The nickname has racist associations with the Confederate South and should be dropped, said South Burlington resident Greg Weaver in an interview with Seven Days. “I think the school needs to come up with a different name,” Weaver said. He noted that school officials agreed about 20 years ago to stop using a rebel mascot but kept the nickname after a similar debate ended in compromise. They should have gone one step further and dumped the Rebels moniker, Weaver said. “It’s a shame they didn’t get rid of it back then,” he said. Other residents defend the nickname. 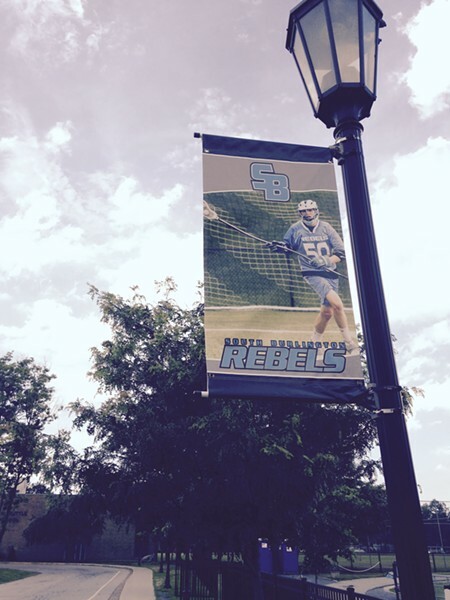 "Rebel" is a generic term and a tradition that should not be dismantled in the name of political correctness, some said in posts on Front Porch Forum, where debate has flared this summer. The American Revolution was led by rebels, including Vermont's own Green Mountain Boys and Ethan Allen, defenders of the tradition said. The Rebels have a strong grip on the school, that's for certain. 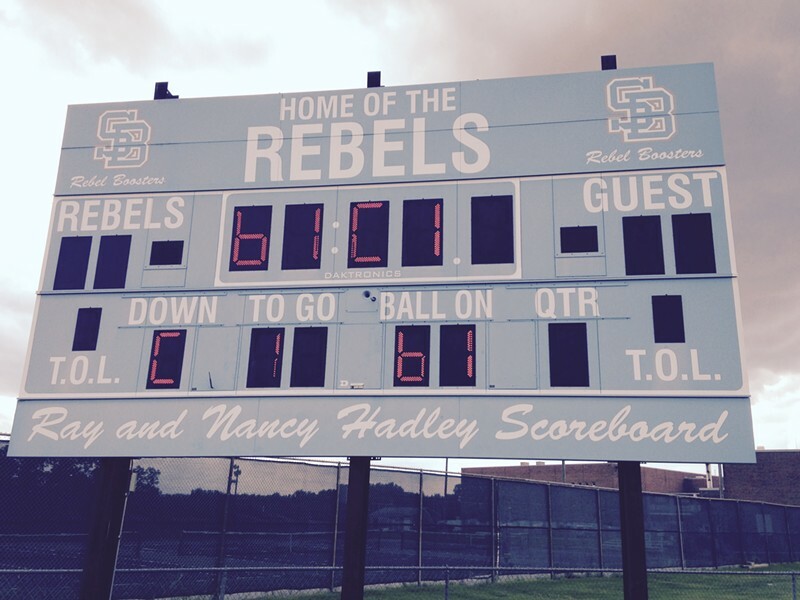 The scoreboard next to the football field declares "Home of the Rebels." Banners near the athletic complex are stamped with the word. The high school website refers often to "rebel land." Did a suburban high school in Yankee Vermont borrow an icon of the old South? The origins of the tradition are somewhat unclear. South Burlington High School opened in 1961. Prior to that, the community had no public high school and many students attended Burlington High School. 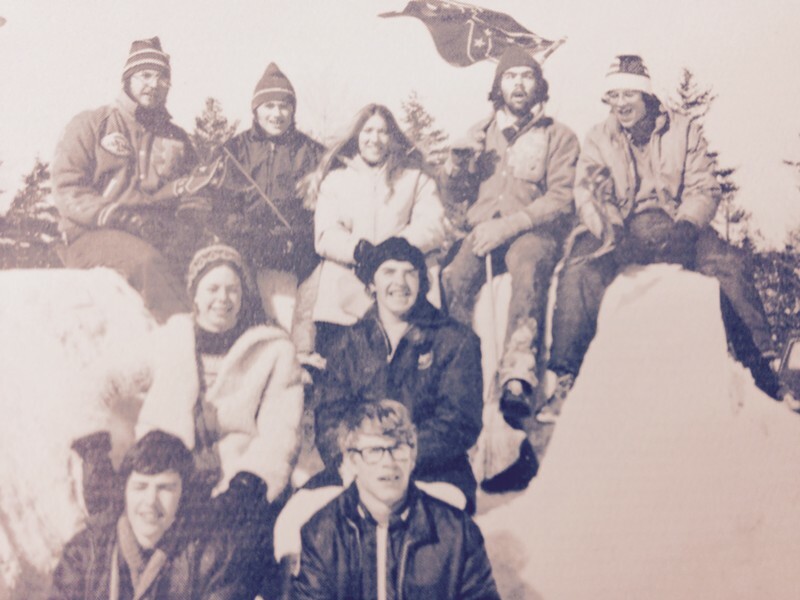 A photo from the 1973 yearbook for South Burlington High School shows a person with a Confederate flag. The name may be a play on the the "South" in South Burlington, which has a rivalry with Burlington High School to its north. Whatever the origins, over the years Confederate imagery has been used in connection with the nickname. At one point a "Captain Rebel" mascot marched out at halftime during sports games, Seven Days has previously reported. "It is a fact that the SBHS Rebel mascot was at one time linked to the Rebels of the American South during the Civil War. I believe the school was wise to eliminate (ban) the 'Rebel Guy' mascot and all references to the Confederacy. This change took place about 20 years ago. Thus, there are at this time no symbols and/or 'physical images or mascots' affiliated with our school's athletic teams whatsoever." It continued: "We use the interlocking 'SB' as our symbol. While the history of our school's nickname is unfortunate and undeniable, I can say that in my near 20 years as an administrator at the school I've rarely seen the mascot be one which could be directly affiliated with the Confederacy. Still, if this were a discussion in which the school board and/or community wanted to engage it would be extremely important that discourse be civil and thoughtful. Certainly there would be valid ideas and good intentions to consider from all sides of the issue." School Board chair Elizabeth Fitzgerald says the board is open to discussing the nickname, but as of now, no one has brought it forward. She didn't take a position on the name, saying the board has not had a discussion. Just don't call the Rebels the school mascot. It's an "identifier," she said. The school has no mascot, she insisted. No, she said. "We don’t have a mascot." Weaver has not approached the school board, and for now isn't planning to. But he'd like to see the name changed. The retired banker, who is white, grew up in Alabama during the Civil Rights era, seeing first hand segregation and blatant discrimination. 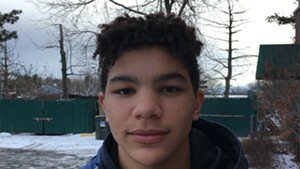 He was shocked when he moved to South Burlington in 2008 to see the sports teams referred to as the Rebels, a reference that to him has racist connotations.